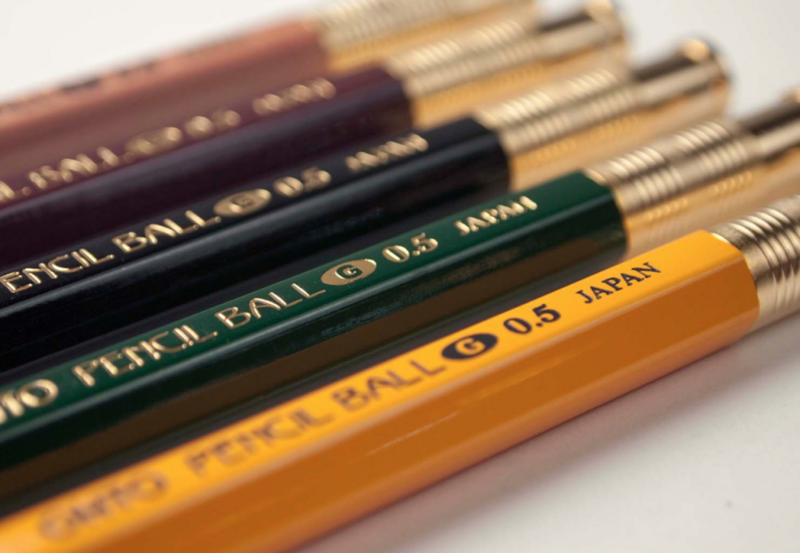 OHTO established in Tokyo, Japan began to manufacture high-quality dyes and ink since 1929. 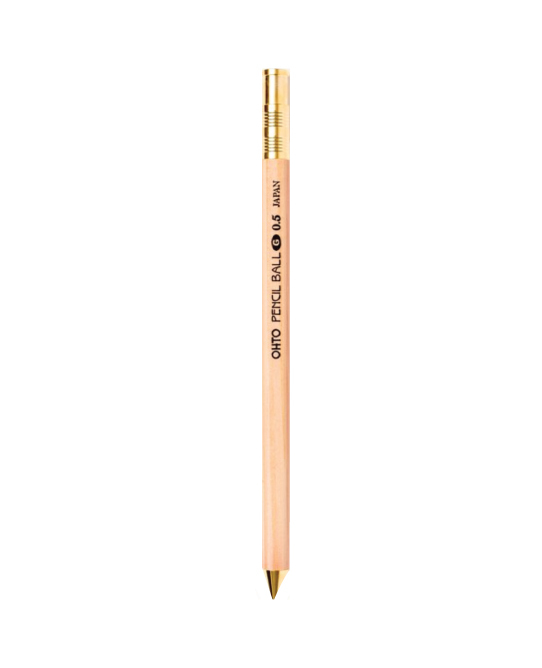 With the classic wooden aesthetic of a pencil but the smooth inky writability of a gel pen, the Pencil Ball Gel Pen from Ohto has it all. Though light weight in your hand, the brass cap gives it just enough heft, and it writes a line that is at once needlepoint-thin and inky. 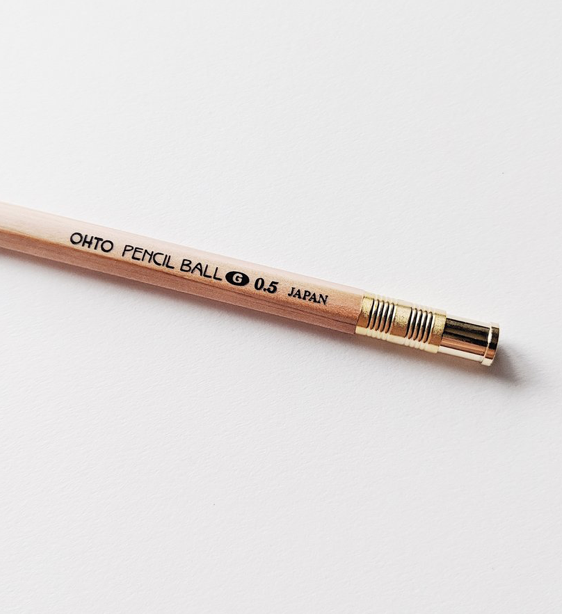 The appearance of OHTO wooden ballpoint pen (NKG-450E) is like a pencil which is cleverly designed. 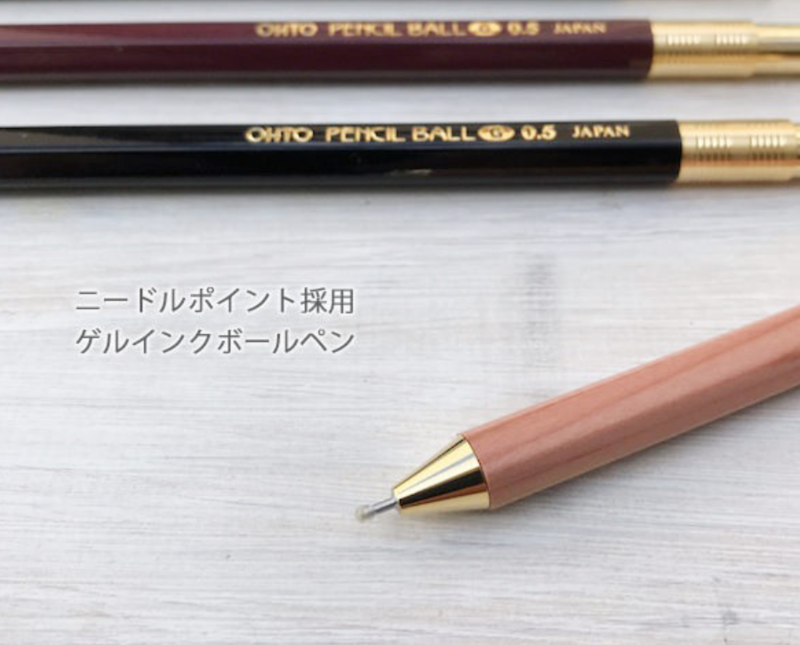 The wooden penholder and the bottom part made of brass features high quality, thin body and black gel ink that makes for an exceptionally smooth writing experience.